The European Court in Luxembourg issued a decision last week that Hungary must extradite Zsolt Hernadi, the president of the MOL administration, to Croatia. He was accused for giving bribe to Croatian Prime Minister Ivo Sanader in 2009, before the takeover of INA oil company, largest Croatian company, at Zagreb County Court. MEP Tonino Picula commented the process for Deutsche Welle. 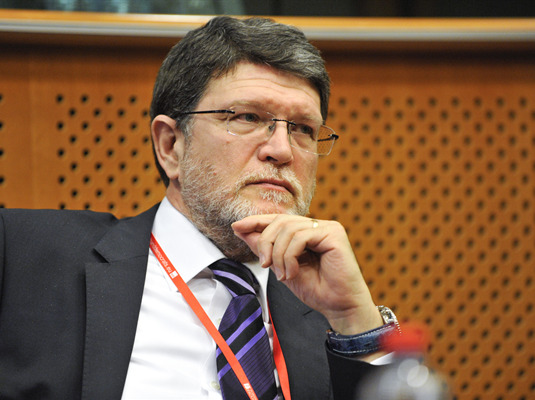 MEP Tonino Picula was once a Foreign Minister of the Republic of Croatia and is acquainted with the international circumstances in these kind of situations. He considers that Croatia today is in a somewhat better position, given the effect of its departure to the European Court. Nevertheless, he adds that it would be irresponsible to speculate about the ultimate outcome of the procedure, as well as possible consequences for INA's future ownership structure. Which, by the way, is in an extremely unenviable position under MOL, when it comes to its current business and development prospects. "The political battle between Croatia and Hungary," Picula said, "has now unambiguously moved to the judicial field. However, it is possible to open a new political front between Hungary and the European Union if Hungary, or in this case the Hungarian court, decides to ignore the decision of the European Court. Regarding the relationship between Viktor Orban and his Hungarian counterpart to the institutions of the EU, we cannot be totally optimistic and believe that there will be no resistance to the decision of the Court. And it is committed to the principle of mutual trust between the EU Member States on which the European Arrest Warrant system rests". Read the entire article on the link.